For other people named Louis Sullivan, see Louis Sullivan (disambiguation). 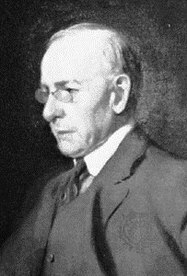 Louis Henry Sullivan was born to a Swiss-born mother, née Andrienne List (who had emigrated to Boston from Geneva with her parents and two siblings, Jenny, b. 1836, and Jules, b. 1841)  and an Irish-born father, Patrick Sullivan. Both had immigrated to the United States in the late 1840s. He learned that he could both graduate from high school a year early and bypass the first two years at the Massachusetts Institute of Technology by passing a series of examinations. Entering MIT at the age of sixteen, Sullivan studied architecture there briefly. After one year of study, he moved to Philadelphia and took a job with architect Frank Furness. The Depression of 1873 dried up much of Furness's work, and he was forced to let Sullivan go. Sullivan moved to Chicago in 1873 to take part in the building boom following the Great Chicago Fire of 1871. He worked for William LeBaron Jenney, the architect often credited with erecting the first steel frame building. After less than a year with Jenney, Sullivan moved to Paris and studied at the École des Beaux-Arts for a year. He returned to Chicago and began work for the firm of Joseph S. Johnston & John Edelman as a draftsman. Johnston & Edleman were commissioned for the design of the Moody Tabernacle, and had the interior decorative fresco secco stencils (stencil technique applied on dry plaster) designed by Sullivan. In 1879 Dankmar Adler hired Sullivan. A year later, Sullivan became a partner in that firm. This marked the beginning of Sullivan's most productive years. Adler and Sullivan initially achieved fame as theater architects. 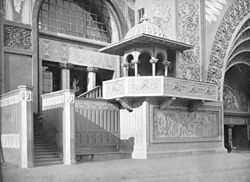 While most of their theaters were in Chicago, their fame won commissions as far west as Pueblo, Colorado, and Seattle, Washington (unbuilt). The culminating project of this phase of the firm's history was the 1889 Auditorium Building (1886–90, opened in stages) in Chicago, an extraordinary mixed-use building that included not only a 4,200-seat theater, but also a hotel and an office building with a 17-story tower and commercial storefronts at the ground level of the building, fronting Congress and Wabash aAvenues. 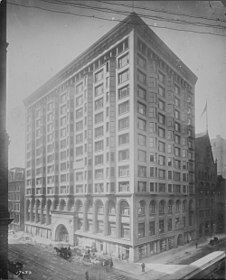 After 1889 the firm became known for their office buildings, particularly the 1891 Wainwright Building in St. Louis and the Schiller (later Garrick) Building and theater (1890) in Chicago. Other buildings often noted include the Chicago Stock Exchange Building (1894), the Guaranty Building (also known as the Prudential Building) of 1895–96 in Buffalo, New York, and the 1899–1904 Carson Pirie Scott Department Store by Sullivan on State Street in Chicago. Prior to the late-nineteenth century, the weight of a multi-story building had to be supported principally by the strength of its walls. The taller the building, the more strain this placed on the lower sections of the building; since there were clear engineering limits to the weight such "load-bearing" walls could sustain, tall designs meant massively thick walls on the ground floors, and definite limits on the building's height. The development of cheap, versatile steel in the second half of the nineteenth century changed those rules. America was in the midst of rapid social and economic growth that made for great opportunities in architectural design. A much more urbanized society was forming and the society called out for new, larger buildings. The mass production of steel was the main driving force behind the ability to build skyscrapers during the mid-1880s. By assembling a framework of steel girders, architects and builders could create tall, slender buildings with a strong and relatively lightweight steel skeleton. The rest of the building elements—walls, floors, ceilings, and windows—were suspended from the skeleton, which carried the weight. This new way of constructing buildings, so-called "column-frame" construction, pushed them up rather than out. The steel weight-bearing frame allowed not just taller buildings, but permitted much larger windows, which meant more daylight reaching interior spaces. Interior walls became thinner, which created more usable (and rentable) floor space. Chicago's Monadnock Building (not designed by Sullivan) straddles this remarkable moment of transition: the northern half of the building, finished in 1891, is of load-bearing construction, while the southern half, finished only two years later, is of column-frame construction. While experiments in this new technology were taking place in many cities, Chicago was the crucial laboratory. Industrial capital and civic pride drove a surge of new construction throughout the city's downtown in the wake of the 1871 fire. The technical limits of weight-bearing masonry had imposed formal as well as structural constraints; suddenly, those constraints were gone. None of the historical precedents needed to be applied and this new freedom resulted in a technical and stylistic crisis of sorts. Sullivan addressed it by embracing the changes that came with the steel frame, creating a grammar of form for the high rise (base, shaft, and cornice), simplifying the appearance of the building by breaking away from historical styles, using his own intricate floral designs, in vertical bands, to draw the eye upward and to emphasize the vertical form of the building, and relating the shape of the building to its specific purpose. All this was revolutionary, appealingly honest, and commercially successful.
" Form follows function" would become one of the prevailing tenets of modern architects. Sullivan attributed the concept to Marcus Vitruvius Pollio, the Roman architect, engineer, and author, who first asserted in his book, De architectura, that a structure must exhibit the three qualities of firmitas, utilitas, venustas – that is, it must be "solid, useful, beautiful." 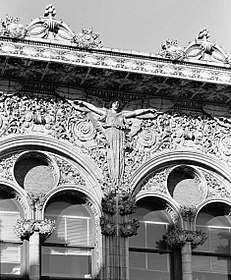 This credo, which placed the demands of practical use above aesthetics, later would be taken by influential designers to imply that decorative elements, which architects call "ornament", were superfluous in modern buildings, but Sullivan neither thought nor designed along such dogmatic lines during the peak of his career. While his buildings could be spare and crisp in their principal masses, he often punctuated their plain surfaces with eruptions of lush Art Nouveau or Celtic Revival decorations, usually cast in iron or terra cotta, and ranging from organic forms, such as vines and ivy, to more geometric designs and interlace, inspired by his Irish design heritage. Terra cotta is lighter and easier to work with than stone masonry. Sullivan used it in his architecture because it had a malleability that was appropriate for his ornament. 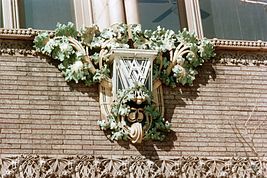 Probably the most famous example of ornament used by Sullivan is the writhing green ironwork that covers the entrance canopies of the Carson Pirie Scott store on south State Street. Such ornaments, often executed by the talented younger draftsmen in Sullivan's employ, eventually would become Sullivan's trademark; to students of architecture, they are instantly recognizable as his signature. Another signature element of Sullivan's work is the massive, semi-circular arch. Sullivan employed such arches throughout his career—in shaping entrances, in framing windows, or as interior design. All of these elements are found in Sullivan's widely admired Guaranty Building, which he designed while partnered with Adler. Completed in 1895, this office building in Buffalo, New York is in the Palazzo style, visibly divided into three "zones" of design: a plain, wide-windowed base for the ground-level shops; the main office block, with vertical ribbons of masonry rising unimpeded across nine upper floors to emphasize the building's height; and an ornamented cornice perforated by round windows at the roof level, where the building's mechanical units (such as the elevator motors) were housed. The cornice is covered by Sullivan's trademark Art Nouveau vines and each ground-floor entrance is topped by a semi-circular arch. Because Sullivan's remarkable accomplishments in design and construction occurred at such a critical time in architectural history, he often has been described as the "father" of the American skyscraper. But many architects had been building skyscrapers before or as contemporaries of Sullivan; they were designed as an expression of new technology. Chicago was replete with extraordinary designers and builders in the late years of the nineteenth century, including Sullivan's partner, Dankmar Adler, as well as Daniel Burnham and John Wellborn Root. 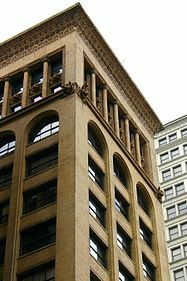 Root was one of the builders of the Monadnock Building (see above). 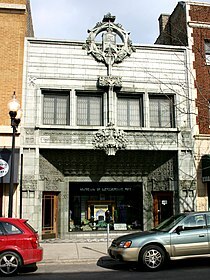 That and another Root design, the Masonic Temple Tower (both in Chicago), are cited by many as the originators of skyscraper aesthetics of bearing wall and column-frame construction, respectively. 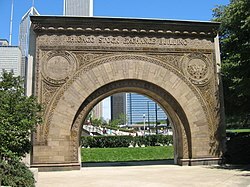 In 1890 Sullivan was one of the ten U.S. architects, five from the east and five from the west, chosen to build a major structure for the "White City", the World's Columbian Exposition, held in Chicago in 1893. 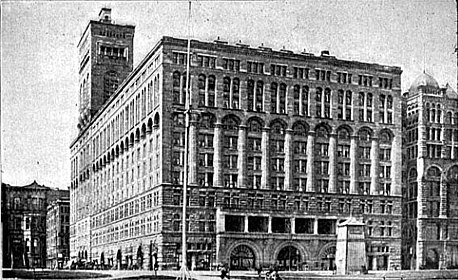 Sullivan's massive Transportation Building and huge arched "Golden Door" stood out as the only building not of the current Beaux-Arts style, and with the only multicolored facade in the entire White City. Sullivan and fair director Daniel Burnham were vocal about their displeasure with each other. Sullivan later claimed (1922) that the fair set the course of American architecture back "for half a century from its date, if not longer." His was the only building to receive extensive recognition outside America, receiving three medals from the French-based Union Centrale des Arts Decoratifs the following year. Like all American architects, Adler and Sullivan suffered a precipitous decline in their practice with the onset of the Panic of 1893. According to Charles Bebb, who was working in the office at that time, Adler borrowed money to try to keep employees on the payroll. By 1894, however, in the face of continuing financial distress with no relief in sight, Adler and Sullivan dissolved their partnership. 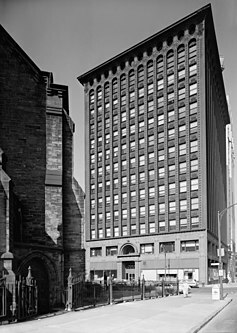 The Guaranty Building was considered the last major project of the firm. 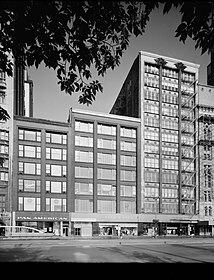 By both temperament and connections, Adler had been the one who brought in new business to the partnership, and following the rupture Sullivan received few large commissions after the Carson Pirie Scott Department Store. He went into a twenty-year-long financial and emotional decline, beset by a shortage of commissions, chronic financial problems, and alcoholism. 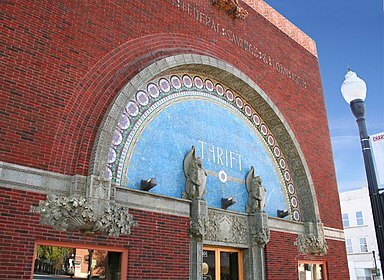 He obtained a few commissions for small-town Midwestern banks (see below), wrote books, and in 1922 appeared as a critic of Raymond Hood's winning entry for the Tribune Tower competition. 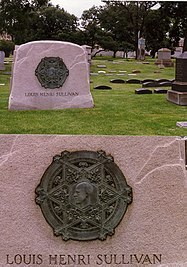 Sullivan fell and died on April 14, 1924, while building a big skyscraper in Chicago. He left a wife, Mary Azona Hattabaugh, from whom he was separated. A modest headstone marks his final resting spot in Graceland Cemetery in Chicago's Uptown and Lake View neighborhood. Later, a monument was erected in Sullivan's honor, a few feet from his headstone. Sullivan's legacy is contradictory. Some consider him the first modernist. His forward-looking designs clearly anticipate some issues and solutions of Modernism; however, his embrace of ornament makes his contribution distinct from the Modern Movement that coalesced in the 1920s and became known as the " International Style". 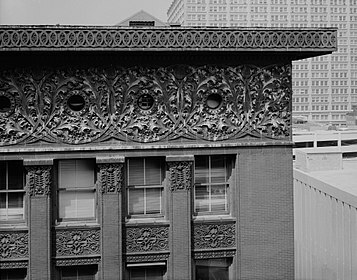 Sullivan's built work expresses the appeal of his incredible designs: the vertical bands on the Wainwright Building, the burst of welcoming Art Nouveau ironwork on the corner entrance of the Carson Pirie Scott store, the (lost) terra cotta griffins and porthole windows on the Union Trust building, and the white angels of the Bayard Building. 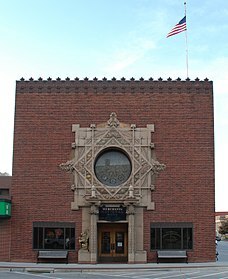 Except for some designs by his longtime draftsman George Grant Elmslie, and the occasional tribute to Sullivan such as Schmidt, Garden & Martin's First National Bank in Pueblo, Colorado (built across the street from Adler and Sullivan's Pueblo Opera House), his style is unique. A visit to the preserved Chicago Stock Exchange trading floor, now at The Art Institute of Chicago, is proof of the immediate and visceral power of the ornament that he used so selectively. Original drawings and other archival materials from Sullivan are held by the Ryerson & Burnham Libraries in the Art Institute of Chicago and by the drawings and archives department in the Avery Architectural and Fine Arts Library at Columbia University. Fragments of Sullivan buildings also are held in many fine art and design museums around the world. During the postwar era of urban renewal, Sullivan's works fell into disfavor, and many were demolished. In the 1970s growing public concern for these buildings finally resulted in many being saved. The most vocal voice was Richard Nickel, who organized protests against the demolition of architecturally significant buildings. Nickel and others sometimes rescued decorative elements from condemned buildings, sneaking in during demolition. Nickel died inside Sullivan's Stock Exchange building while trying to retrieve some elements, when a floor above him collapsed. Nickel had compiled extensive research on Adler and Sullivan and their many architectural commissions, which he intended to publish in book form. After Nickel's death, in 1972 the Richard Nickel Committee was formed, to arrange for completion of his book, which was published in 2010. The book features all 256 commissions of Adler and Sullivan. 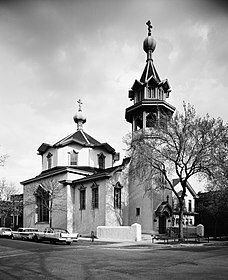 The extensive archive of photographs and research that underpinned the book was donated to the Ryerson and Burnham Libraries at The Art Institute of Chicago. More than 1,300 photographs may be viewed on their website and more than 15,000 photographs are part of the collection at The Art Institute of Chicago. As finally published, the book, The Complete Architecture of Adler & Sullivan, was authored by Richard Nickel, Aaron Siskind, John Vinci, and Ward Miller. When he read an article about the planned demolition in Clinton, he uprooted his family from their home in southern California and moved them to Iowa. 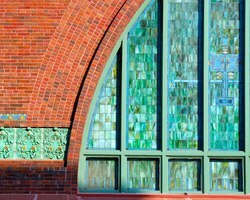 With the vision of a destination neighborhood comparable to Oak Park, Illinois, he set about creating a nonprofit to save the building, and was successful in doing so. 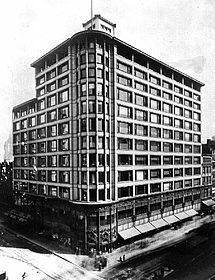 Another advocate both of Sullivan buildings and of Wright structures was Jack Randall, who led an effort to save the Wainwright Building in St. Louis, Missouri at a very critical time. 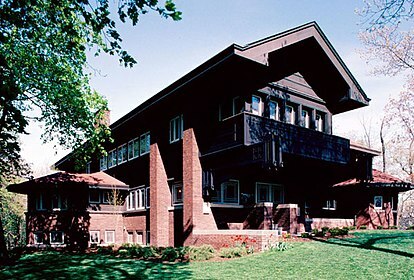 He relocated his family to Buffalo, New York to save Sullivan's Guaranty Building and Frank Lloyd Wright's Darwin Martin House from possible demolition. His efforts were successful in both St. Louis and Buffalo. A collection of architectural ornaments designed by Sullivan is on permanent display at Lovejoy Library at Southern Illinois University Edwardsville. The St. Louis Art Museum also has Sullivan architectural elements displayed. The major difference between novel and real life was in the chronology of Cameron's relation with his protégé Howard Roark, the novel's hero, who eventually goes on to redeem his vision. That Roark's uncompromising individualism and his innovative organic style in architecture were drawn from the life and work of Frank Lloyd Wright is clear from Rand's journal notes, her correspondence, and various contemporary accounts. In the novel, however, the 23-year-old Roark, a generation younger than the real-life Wright, becomes Cameron's protégé in the early 1920s, when Sullivan was long in decline. See also: Category:Louis Sullivan buildings. By the end of the first decade of the twentieth century, Sullivan's star was well on the descent[ according to whom?] and, for the remainder of his life, his output consisted primarily of a series of small bank and commercial buildings in the Midwest. Yet a look at these buildings clearly reveals[ according to whom?] that Sullivan's muse had not abandoned him. 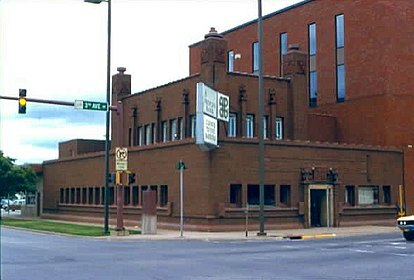 When the director of a bank that was considering hiring him asked Sullivan why they should engage him at a cost higher than the bids received for a conventional Neo-Classic styled building from other architects, Sullivan is reported to have replied, "A thousand architects could design those buildings. Only I can design this one." He got the job. Today[ when?] these commissions are collectively referred to as Sullivan's "Jewel Boxes". All still stand. ^ The spelling of Sullivan's middle name (whether Henry or Henri) has caused confusion. According to Robert Twombly, Louis Sullivan – His Life and Work (Elizabeth Sifton Books, New York City, 1986), his birth certificate read Henry Louis Sullivan, although he was called Louis Henry. Sullivan helped propagate confusion over his middle name as well by announcing, in his book Autobiography of an Idea, which he wrote at the end of his life, at a time when professional failure and alcohol may have clouded his judgment, that he had been named Louis Henri after his grandfather Henri List (see footnote below). The latter spelling was in turn enshrined by the designers of his funerary monument (see picture in text). ^ Kaufman, Mervyn D. (1969). Father of Skyscrapers: A Biography of Louis Sullivan. Boston: Little, Brown and Company. ^ "Gold Medal Award Recipients". The American Institute of Architects. Retrieved March 12, 2016. ^ Sullivan, Louis H. Autobiography of an Idea. Mineola, New York: Dover Publications, 2009 (reprint of 1924 edition), p. 31. This reference illustrates Sullivan's adoption of the "Henri" spelling of his middle name towards the end of his life. ^ Sullivan, Louis (1924). Autobiography of an Idea. New York City: Press of the American institute of Architects, Inc. p. 108. ^ Sullivan, Louis (1924). Autobiography of an Idea. New York City: Press of the American institute of Architects, Inc. p. 325. ^ Jeffrey Karl Ochsner and Dennis Alan Andersen, Distant Corner: Seattle Architects and the Legacy of H.H. Richardson (Seattle and London: University of Washington Press, 2003), 287-288. ^ Abbott, J. (2000). "Louis Sullivan, Architectural Modernism, and the Creation of Democratic Space". The American Sociologist. 31 (1): 62–85. ^ Cahan, Richard (1994). They All Fall Down - Richard Nickel's Struggle to Save American's Architecture. Hoboken: John Wiley & Sons. p. 90. ISBN 0-471-14426-6. ^ Nickel, Richard; Aaron Siskind; John Vinci; Ward Miller (2010). The Complete Architecture of Adler and Sullivan. Chicago: Richard Nickel Committee. p. 428. ISBN 978-0-9660273-2-7. ^ Siry, Joseph M. (2002). The Chicago Auditorium Building - Adler and Sullivan's Architecture and the City. Chicago: The University of Chicago Press. pp. 318, 398, 411. ISBN 0-226-76133-9. ^ "Sullivan Collection in Lovejoy Library". Archived from the original on October 27, 2013. 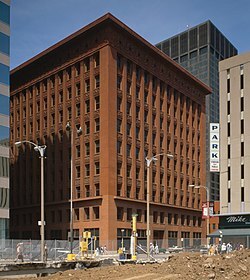 ^ "Visitors now welcome at landmark Guaranty Building". The Buffalo News. 26 January 2017. Retrieved 31 August 2017. ^ Heynick, Frank (May 2008). "Al 65 jaar lang vloeit 'De Eeuwige Bron'" [The Fountainhead still gushing after 65 years]. Product: Tijdschrift voor Productontwikkelaars (in Dutch). 16 (3): 13–15. ; see also Heynick, Frank. "Henry Cameron's last hour". ^ "My view of what a good autobiography should be is contained in the title that Louis H. Sullivan gave to the story of his life: The Autobiography of an Idea." Rand, Ayn (2009) . "Forward". We the Living. New American Library. pp. xiii. This is the total mention by Rand; she does not bother to tell the reader that Sullivan was an architect or anything else about him. ^ Sullivan, Louis H. (2009) . Autobiography of an Idea. Dover Publications. pp. 20, 213. ^ Rand, Ayn (1943). The Fountainhead. Bobbs-Merrill. pp. 34–35. ; Sullivan, Louis H. (1924). The Autobiography of an Idea. pp. 324–327. ^ Wright, Frank Lloyd (1949). Genius and Mobocracy. Duell Sloan & Pearce. pp. 66–67. ^ Wright, Frank Lloyd (1949). Genius and Mobocracy. Duell Sloan & Pearce. pp. 71–76. ^ Toker, Franklin. Fallingwater Rising. Alfred A. Knopf. pp. 14–15. ^ Charles Dickinson Wainwright Memorial, Tomb, including photograph at Find a Grave. 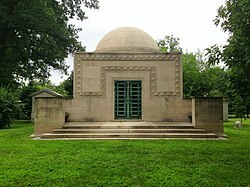 ^ "Wainwright Tomb - St. Louis, Missouri - American Guide Series on Waymarking.com". Retrieved October 28, 2016. ^ Abeln, Mark Scott. "Two by Sullivan". Retrieved October 28, 2016. ^ "Home". Retrieved October 28, 2016. Columbian Gallery – A Portfolio of Photographs of the World's Fair, The Werner Company, Chicago, IL, 1894. Condit, Carl W., The Chicago School of Architecture, University of Chicago Press, Chicago, IL, 1964. Connely, Willard, Louis Sullivan as He Lived, Horizon Press, Inc., NY, 1960. Engelbrecht, Lloyd C., "Adler and Sullivan's Pueblo Opera House: City Status for a New Town in the Rockies", The Art Bulletin, College Art Association of America, June 1985. Gebhard, David (May 1960). "Louis Sullivan and George Grant Elmslie". Journal of the Society of Architectural Historians. 19 (2): 62–68. JSTOR 988008. Hoffmann, Donald (January 13, 1998). Frank Lloyd Wright, Louis Sullivan, and the skyscraper. Courier Dover Publications. ISBN 978-0-486-40209-3. Retrieved March 27, 2011. Nickel, Richard; Siskind, Aaron; Vinci, John; and Miller, Ward. The Complete Architecture of Adler & Sullivan, Richard Nickel Committee, Chicago, Illinois, 2010. Thomas, George E.; Cohen, Jeffrey A.; and Lewis, Michael J.; Frank Furness – The Complete Works, Princeton Architectural Press, New York City, 1991. Weingarden, Lauren S. Louis H. Sullivan: A System of Architectural Ornament . Art Institute of Chicago and Ernst Wasmuth Verlag (Germany); distributed by Rizzoli International (U.S.), Wasmuth (Germany), Mardaga (France), 1990. Weingarden, Lauren S. Louis H. Sullivan: The Banks. Cambridge, Mass. : MIT Press, 1987. 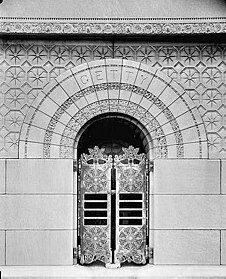 Wikimedia Commons has media related to Louis Sullivan.